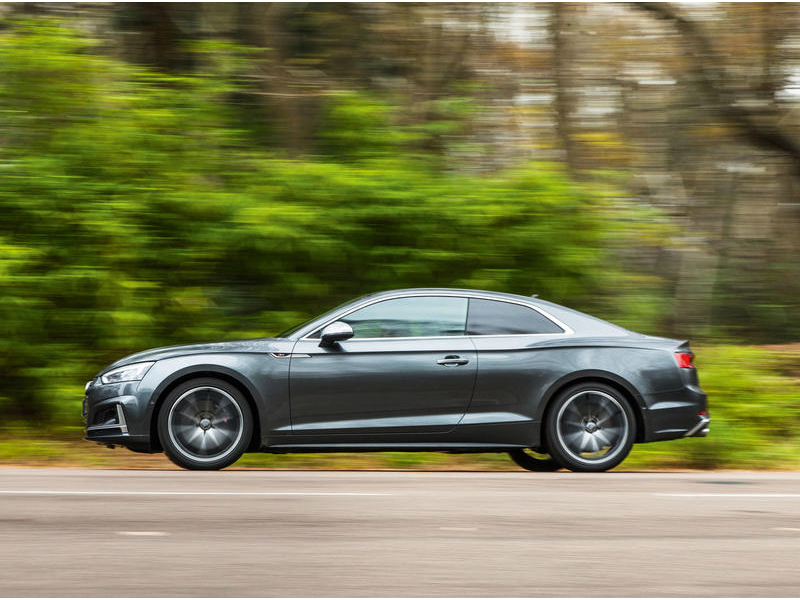 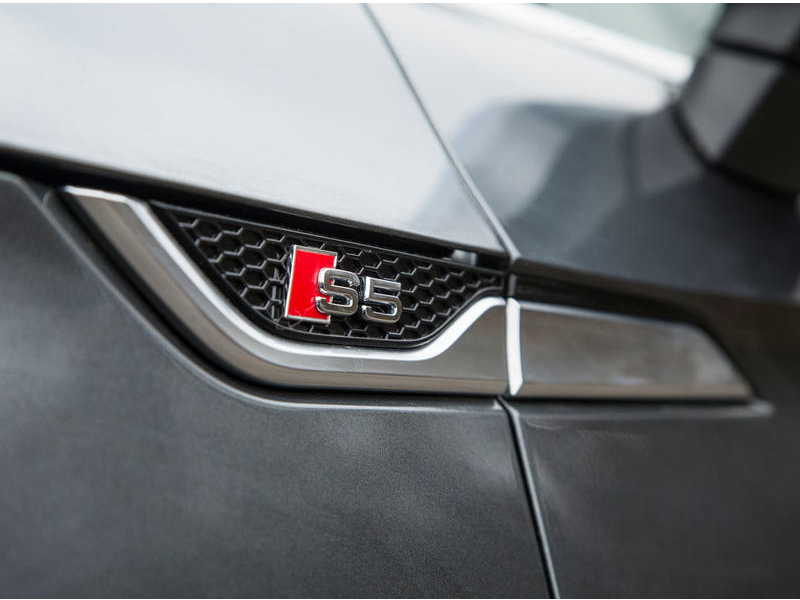 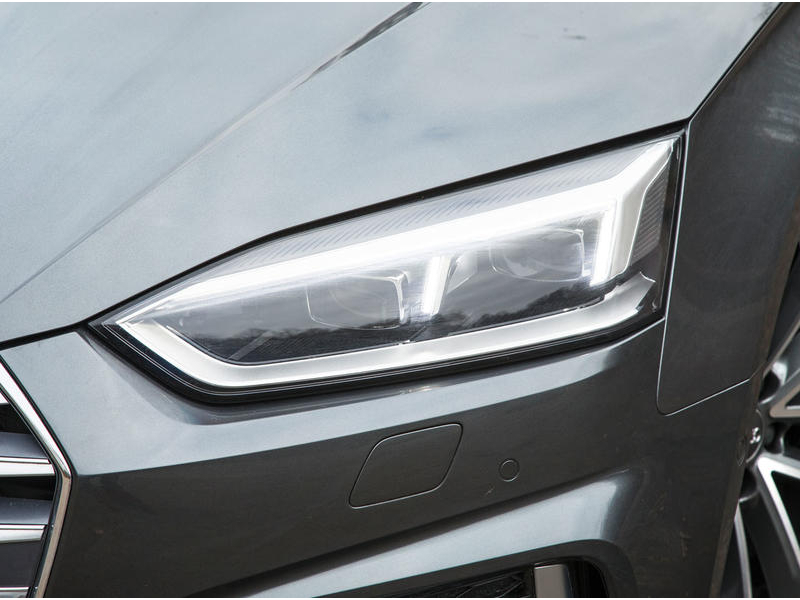 The Audi S5 is propelled by a turbocharged 3.0 litre engine worked with an 8 speed automatic transmission. 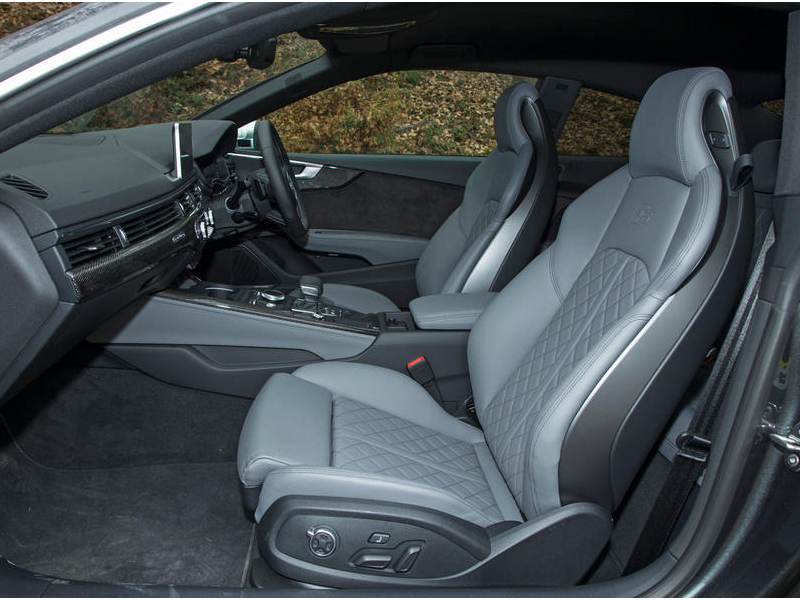 Inside the S5 has standard front bucket seats with diamond stitching, and a flat-bottom steering wheel with S badging. 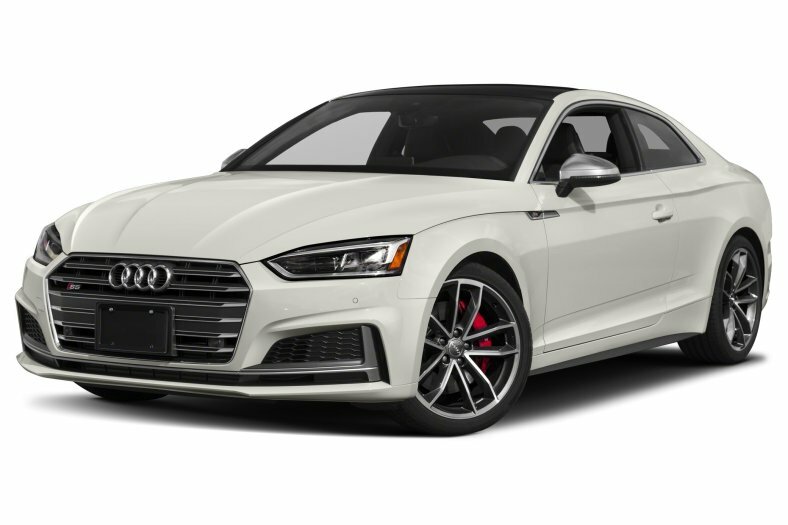 In many markets, the S5 includes as standard, 19″ alloy wheels with a five parallel spoke design, bigger brakes, heated leather sport seats, and other convenience features, some of which are available only as an option on the A5. 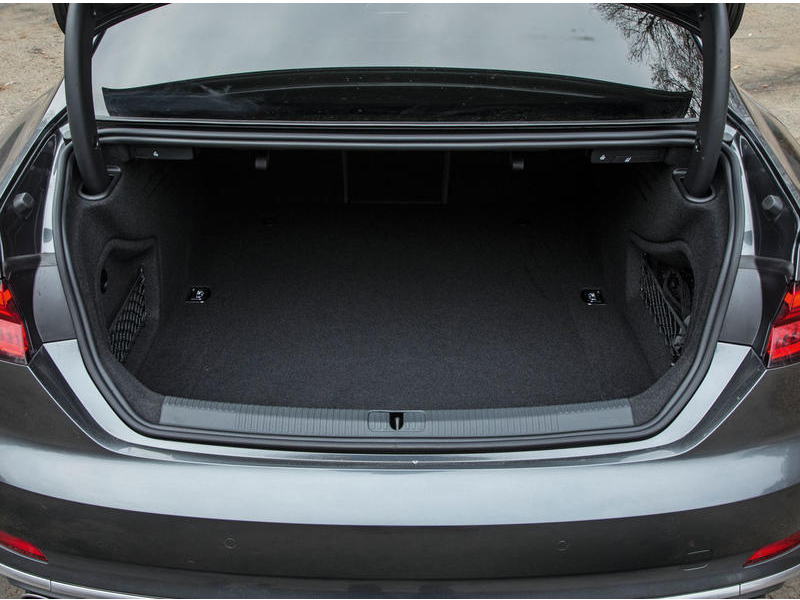 Changes for 2010 model year include LED tail lamps, the introduction of Premium Plus and Prestige trim levels, and new optional equipment such as Leather/Alcantara seats. 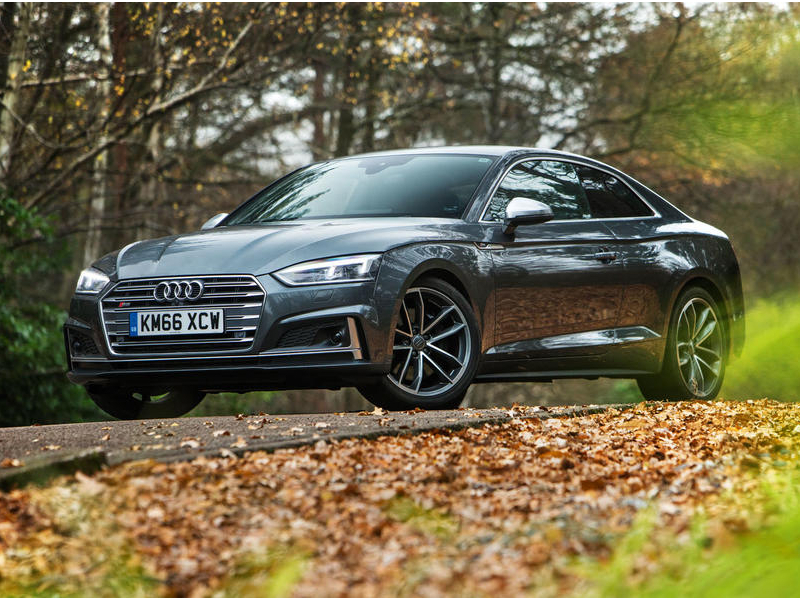 The coupé had a choice of either a six speed manual or six speed Tiptronic, while the Cabriolet/Sportback have the seven speed S-tronic dual clutch transmission.